Southern Interchange works stepping up big time over the past week. Bridge beams have been put in place on the Motorway-to-Salisbury Highway offramp. Concreting is underway on the new bridge deck connecting Motorway to NC. The future south to westbound loop ramp is underway, with earth being piled along its location. 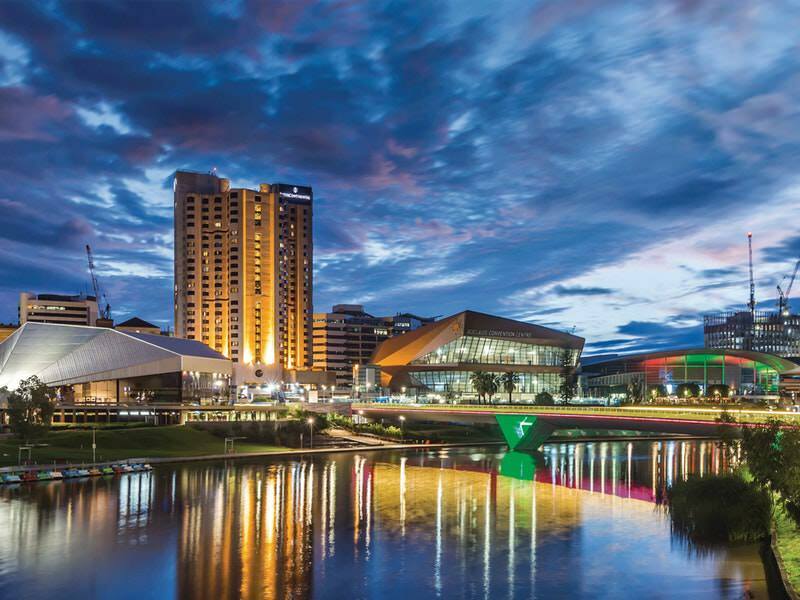 Nobody has posted here yet that the Waterloo Corner Road overpass will open next Tuesday morning, and St Kilda Road will be cut a few days later. The ramp from the South Road Superway to Salisbury Highway will also be closed overnight twice next week to remove the streetlights and signs. 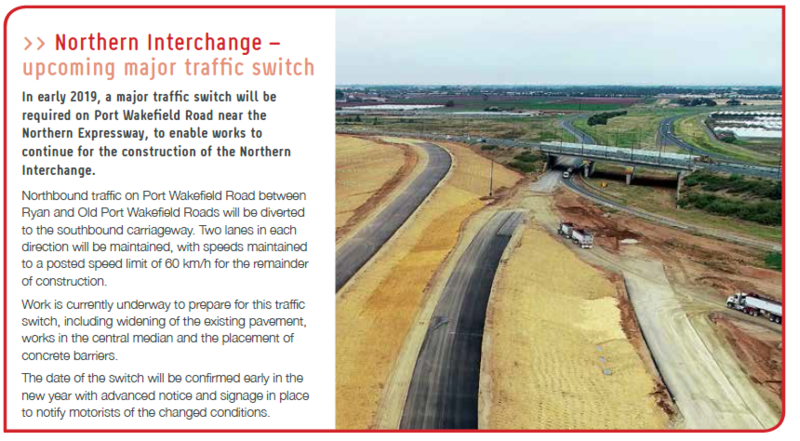 I wonder if they will divert trafiic across the waterloo corner interchange and then up the NC northbound carriageway when they do the roadworks to connect the southbound carriageway of NEXY to the NC and\or complete the overpass for northbound traffic on Pt Wakefield Rd. I wondered something like that too, but it's only viable if the new roundabout to turn right onto NC is big enough for road trains. I don't know if it's been built that big. I don't get that. Ryan Rd and Old Port Wakefield Rd are only about 150m apart and well north of the roadworks. What am I missing? You'd hope they meant Mill Rd. There's also a Ryans Road (with an 's') intersection in Parafield Gardens opposite Globe Derby Park. Hopefully when they get round to actually changing traffic conditions, they will announce it with the right road/distance. Fitting four lanes into one carriageway over the bridge seems rather tight if they meant A road on its north and a road on its south. Final bridge spans are now in place for the Motorway-to-Salisbury Highway eastbound offramp.